Stephentown, NY– Gary Stephen Demick, 63, died Saturday on his birthday, November 24, 2018 at Albany Medical Center. Born in Pittsfield, MA on November 24, 1955, he was the beloved son of the late Edmund J. and Lucille H. Potter Demick. Gary was raised in Stephentown and was a lifelong resident. He was a 1973 graduate of Berlin Central School. He worked at Gerald Schufer’s Farm in Stephentown while growing up. He later received a certificate in welding from a course taken at Taconic High School. He was employed as a welder at Beloit Jones Corp. in Dalton MA for over 25 years before retiring in 1998 when they closed. Gary built his own house along with his father and brothers. He was very meticulous taking care of his property, planting apple trees and tending to his blueberries. He loved gardening, hunting and fishing, was a history buff and enjoyed crossword puzzles. He was always there if someone needed him and was a gentle sweet man. 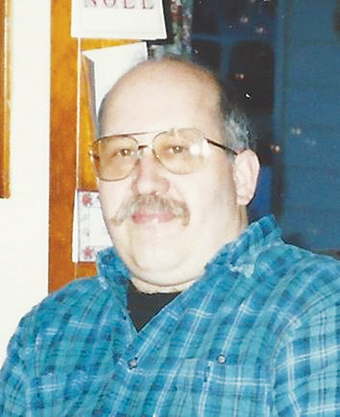 He was a member of the Stephentown Volunteer Fire Dept. and was a member of its muster team, the Tigeriffics. He was the loving brother of John M. Demick, Edmund J. (late Anne) Demick, Jr., Michael T. Demick and Wayne A. Demick all of Stephentown, Joyce A. (late Jim) Gauthier of Adams, MA, Diane M. Ashen of Holliston, MA, Paul F. (Dawn) Demick of Berlin, NY and the late Lawrence P. Demick. He is also survived by 11 nieces and nephews and 6 great nieces and nephews. The funeral service was Thursday from the Hall & Higgins Funeral Home, 457 NY43, Stephentown and at St. Joseph’s Church, Stephentown, where a Mass of Christian Burial was celebrated by Rev. John Close. In lieu of flowers, contributions may be made to the Center for Donation & Transplant, 218 Great Oaks Blvd., Albany, NY 12203.